At its meeting on February 6, 2019, Minneapolis Park and Recreation Board (MPRB) commissioners adopted the North Service Area Master Plan (NSAMP).This document details a 20- to 30-year vision for all neighborhood parks and three regional trails in North Minneapolis west of the Mississippi River and north of I-394. NSAMP is the result of nearly two years of community-based engagement, planning and design with individuals, neighborhood groups and community organizations throughout North Minneapolis. 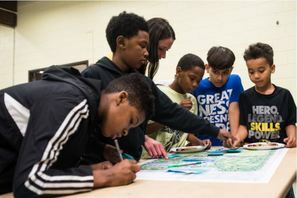 "We are really pleased at how engaged Northsiders were in developing these park plans," said District 2 Commissioner Kale Severson, who serves constituents in North Minneapolis. "A huge part of this planning effort is ensuring that MPRB's neighborhood parks serve the needs of the communities that surround them." MPRB adopted similar service-area master plans for south Minneapolis (in 2016) and downtown Minneapolis (in 2017), with planning in process for the city's northeast/southeast and southwest areas. Sample NSAMP plan, showing changes to be made at Bethune Park over the next 20 to 30 years. 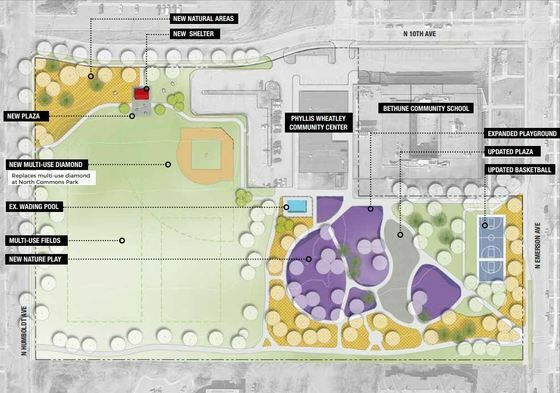 Collectively, NSAMP's neighborhood park plans will guide capital investments and other park improvements - that is, replacing or constructing new play areas, wading pools/splash pads, athletic fields, skate parks and sport courts. Also featured are some amenities new to neighborhood parks, like climbing walls, bicycle tracks/all-wheel parks, orchards, community gardens and adult fitness areas. A significant portion of the funding for these improvements comes from the 20-Year Neighborhood Park Plan, a long-term initiative that provides additional funding annually for capital investment and rehabilitation projects in neighborhood parks through 2036 (see more below). A number of projects got underway late last year and include priority improvements as identified in the North Service Area Master Plan and through additional project-specific community engagement. Click on the links below to find out more about each project, how to get involved and to sign up for email updates. 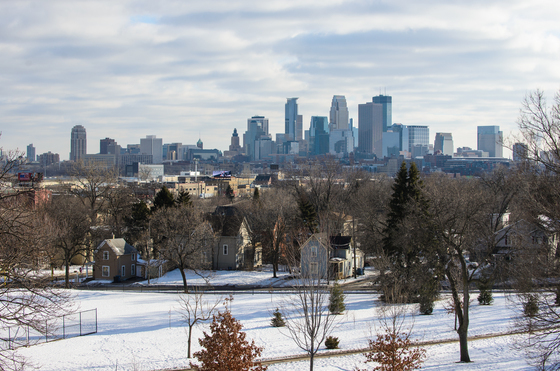 NPP20 is a historic agreement between the Minneapolis Park and Recreation Board (MPRB) and the City of Minneapolis. As a long-term initiative, NPP20 helps address racial and economic equity across 160 neighborhood parks and provides a minimum of $11 million annually to maintain, repair and replace facilities.